Essay writing is so simple. What’s in it? Pick a topic, draft an outline, and pour your thoughts into it until you reach a conclusion. Right?Well, this approach may very well work for you three times out of ten. But it only works that way in a classroom, if all you want to score is a C+ (Sadly, me back in school). It doesn’t help you much when the stakes are high and where it gets really hard. Like when you’re taking the SATs, writing a college application essay or writing a research-based essay for an organization. 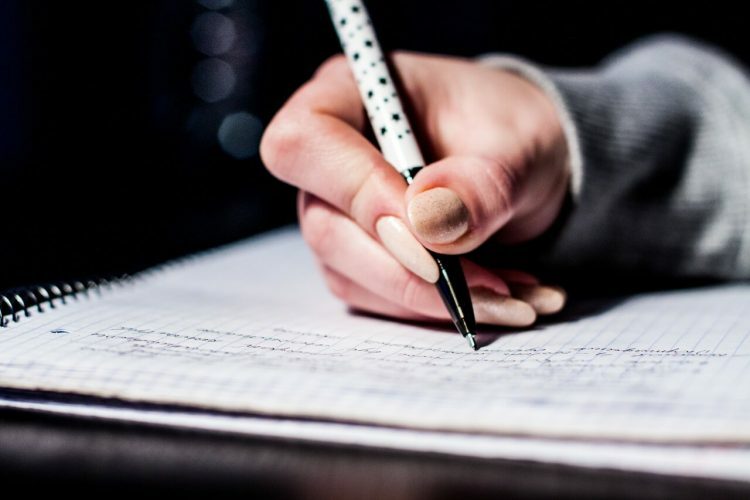 A lot goes into writing the more serious essays, as the readers here want perfection, unlike in high school where teachers may be more lenient. In these competitive essays, you must do all you can to avoid any flaws that will cost you dear. Some of these mistakes may not be visible like a simple spelling error (thanks to the word editor!) or a grammar glitch that’s highlighted by tools like Grammarly. You must view the text like a harsh critic. Read it thrice if need be to look for these common mistakes. So, what are these tiny mistakes that may slip into your essay? A basic error that will get you booked for plagiarism is adding an author’s quote to your text without citation and proper use of “quotations”. Remember to quote ONLY if the author’s statement is irreplaceable and forms a vital part of the research. As far as possible, stick to paraphrasing the text. While using a quote, if it appears as a continuation to your own words in a sentence, it rings a bell for danger. You must always cite the author’s name at the end or beginning of the quote. For example, the following sentence cites the author’s name at the beginning. If you think you can paraphrase this quote in a better way to put your point across, then do it. Else, stick to quoting. But don’t use too many as your essay will look a series of quotes. Also, while incorporating quotes that are longer than one sentence, you should avoid quotation marks and use a block quote instead. Comma splice is a grammatical error that goes unnoticed by the eyes of an amateur but can infuriate grammar nazis. Once is forgivable, but if it’s more than once, the focus shifts from the essay’s content to finding the next comma splice. For example: My wife and I cook together every night, we then enjoy a nice meal together. Does that comma before ‘we’ strike you as odd? Yes? This is a comma splice and it’s annoying to see it again. To avoid comma splices, use a conjunction to join them, or simply use a full stop to make two sentences out of it. While writing a college application essay, students often don’t know what to write about. They think too much over it, panic and end up writing something that does not work. You must carefully pick an essay topic that interests you and to which you can relate your thoughts. Strictly NO self promotion. Remember, you also have to keep it concise (Max 500 words) as the admission committee spends barely two minutes per essay. If you are writing on a sensitive topic, don’t be bland. Take a stand and show your personal opinion. Do a thorough research on your topic before writing and sending it across to the colleges you’re applying for. A contraction is one word resulting from the combination of two words. Words like don’t, we’d, aren’t, I’ll, etc., are most commonly used contractions in modern day English. It sounds hip to use them in your prose but in an essay, you must avoid them at all cost. While writing an essay, you must assume that your text will be read by mature readers (unless told otherwise). So feel free to add that extra word as it makes your essay look professional and appealing to a formal audience. An essay must have a good title that’s catchy and unique. Re-title your essay so that it gives an accurate summary of what the content talks about and is also relevant to the content that you write. Also, your title should not be misleading. Do not take credit for work that is not yours. For example, if I’m writing an essay on Heaven and Nature, I cannot simply title my essay “Heaven and Nature, By Ethan Miller”. Since the essay is written by Edward Hoagland, I cannot take credit for writing a similar piece with the same title. It would result in infringement of copyrights and I certainly wouldn’t want to get into that hassle. While writing a literary essay about a story or a novel, avoid depending excessively on plot summaries as it may render your write-up as a fake copy of the original work. Recounting the plot gives a basic idea about the novel but that should not be the sole purpose of writing your essay. You must add your own literary analysis about how you interpret the book rather than borrowing and paraphrasing the entire plot. For example, we all know (or Wiki about it) that “To Kill a Mockingbird” has a plot that revolves around racial discrimination in America. One of the main arguments of your essay could be your take on the racial prejudice in Tom Robinson’s case and Atticus Finch’s morality in defending him. The argument should bring out your personal interpretation, based on the textual evidence. Essay writing is not so easy (unless of course you’re a literary genius). Keep in mind these common mistakes and ensure you avoid making them as they may hamper your chances of being picked by a college or can cost you your job. Otherwise, check essay writing services reviews to get editing and writing assistance from top-notch writers. Ethan Miller is a private ESL teacher who also works as an online tutor. Apart from his passion for teaching, he loves to write and holds a degree in creative writing. When he is not teaching or writing his book, Miller loves to blog and is a huge fan of educational technology.